Fore!! Axel & Hudson is a stylish, hip, golf inspired, eco-friendly brand for boys that I fell in love with. I am always on the look out for trendy and unique clothes for my Little Guy and I am beyond happy with this line. I am thrilled that most of the pieces are made from ultra-soft and sustainable bamboo/spandex which is breathable and cool for the hot days of summer. Founded by designer and golf lover Paul Nguyen, who has designed for Lucky Brand Kids, Babystyle and BabyNay. Paul was inspired to create his own collection after the birth of his two children. Fore!! Axel & Hudson is country club meets California cool! 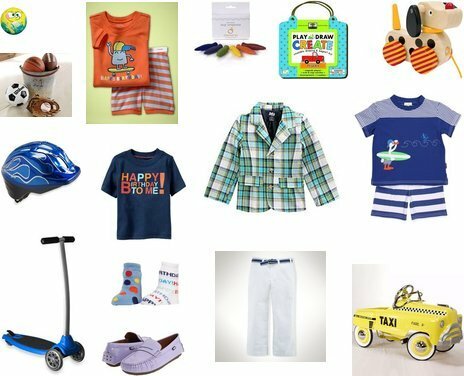 All little boys will look adorable in these golf inspired clothes and accessories. There is even a Custom Jr .Golf Club Bag…can you say adorable. Available in sizes 3 months to boys size 12. 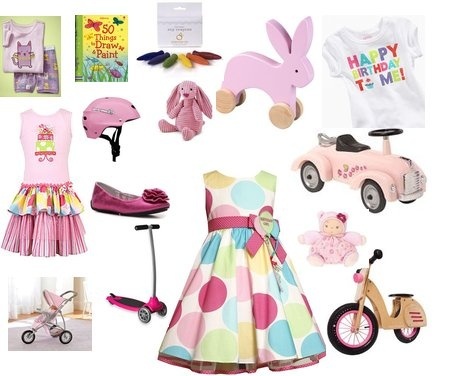 I am also excited that their Girl’s line will launching in July 2012…looking forward to seeing the styles for the Little Lady’s! To see their entire look book and stores that carry this fabulous line, check out their website. Some of the pieces that I picked up for my Lil Guy…yes he will be rocking Fore!! Axel & Hudson this summer! Bring out those Golf Clubs!!! 7. Bugaboo Cameleon Stroller- $979.00 at Posh Tots7. I love to make baskets of all kinds, it is my favorite gift idea. You get to be so creative and get to customize it to the person that you are giving it to. Easter is my all time favorite to make baskets for my Lil Wee as well as my friends Lil One’s. Target has the best selection of item’s priced at $2.50 or less. I tend to fill my Basket’s with more toys, books, mini puzzles and games than with candy. However you fill your Basket’s have fun, get creative and have a Happy Easter!